ND SATCOM now offers full interoperability with General Dynamics Mission Systems Fortress® LTE solutions — validation testing confirmed this interoperability between the Fortress decentralized network architecture for autonomous LTE deployables and SKYWAN satellite mesh capabilities, resulting in a resilient and bandwidth efficient distributed network of sites that possesses full end-to-end network communications and mobility. The combined platform provides an ideal suite for transportable and fixed LTE networks that are increasingly becoming a technology of choice for military, tactical, public safety and private mobile users. The Fortress LTE solution offers autonomous, decentralized LTE sites providing temporary or permanent coverage. ND SATCOM’s satellite mesh network solution with SKYWAN 5G supplements the solution, enabling direct, single-hop communication between sites. Fortress cellular LTE network products use IP as convergence layer. 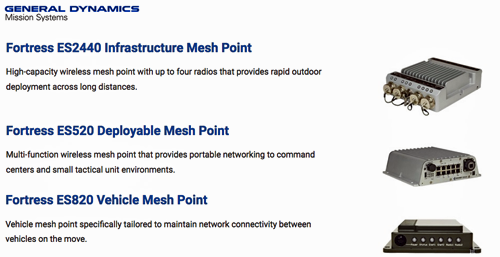 The edge centric capabilities of the Fortress Evolved Packet Core combined with SKYWAN satellite mesh topologies, significantly improve the user experience with reduced network signalling and single hops between rapid deployable LTE cells cutting OPEX in half and reduces transmission delay and jitter. With QoS mechanisms and real-time services of SKYWAN 5G’s MF-TDMA waveform jitter was validated at less than 10 ms with a MOS value of four even on overloaded links. Fortress LTE provides a multi-band capability for global operations making it an ideal fit with the topology flexibility of the SKYWAN solution including mesh. The low size, weight and power, ease-of- transport, and simplified management of Fortress LTE enables quick deployment of multiple base stations regardless of existing infrastructure. 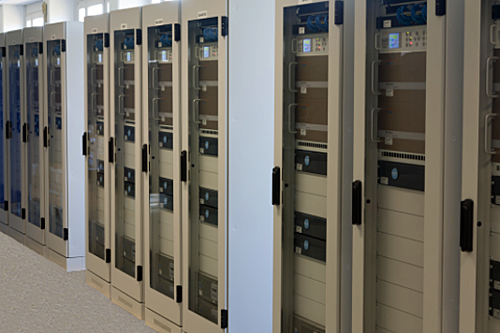 This configuration enables users to roam the network and perform seamless handovers, both inter-cell and inter-EPC with minimal reliance on backhaul links. Jacek Jarmul, Cellular Backhaul Sales & Business Development Director at ND SATCOM, offered that ND SATCOM is actively pursuing the cellular backhaul segment and has been doing so over the last month. There is a momentum for the company's Cellular Backhaul suite (including mesh) in 4G networks which in comparison to 2G and 3G can be decentralized and autonomous. This especially applies to portable and deployable systems for disaster recovery, public safety and similar. Following the requests of customers for comprehensive LTE solutions including satellite backhaul, ND SATCOM selected Fortress LTE Solutions to expand the firm's product portfolio and to meet customer requirements.